I know, I'm a little late in reading this. But now I don't have to wait for the rest to be published (I just have to wait for them to be available at the library!). Beatrice lives in a post-apocalptic world separated into different factions: Amity (Kindess), Candor (Honest), Dauntless (Brave), Abnegation (Selfless), and Erudite (Intelligent). Although children are born into a faction, when they reach the age of 16 they undergo a virtual reality test to determine which faction they truly belong in and they then have a choice to either stay in their home faction or transfer. Beatrice expects her test to say Abnegation, even though she secretly hopes it doesn't. She is completely surprised when her results are actually inconclusive--she doesn't belong in any one faction but could go in many. This is a dangerous spot to be in and she is lucky her test administrator is sympathetic and doesn't tell the authorities. Beatrice debates what to do until the final moment of choosing when she decides to be brave instead of selfless. She enters the Dauntless faction as a transfer not knowing what to expect and completely unprepared for her future. Renamed Tris, she must compete against all the other initiates for a spot in the Dauntless society or be factionless. 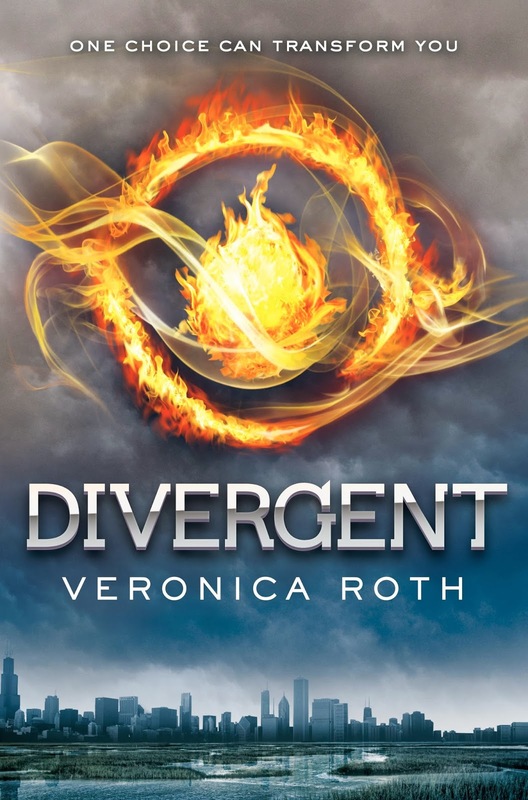 I've heard the comparisons to The Hunger Games and while I think fans of The Hunger Games, and post apocalyptic novels in general, will enjoy Divergent, I really didn't see it as being the same. All post apocalyptic books have the same general framework-- something got screwed up and now the world is really different and about to get more screwed up. Tris has to compete against her fellow initiates, but she doesn't HAVE to kill them. She just has to be better. There are some cruel kids who take it too far, but it's not a requirement. I really enjoyed this book. I loved Tris's character. I loved the relationship between her and her instructor Four. I thought her family dynamic was really interesting and I was glad to see that her mom was not just another clueless parent. The ending was non stop can't put it down thrilling action. I'm looking forward to the next one and hope the rest of the trilogy holds up to the promise of the first.